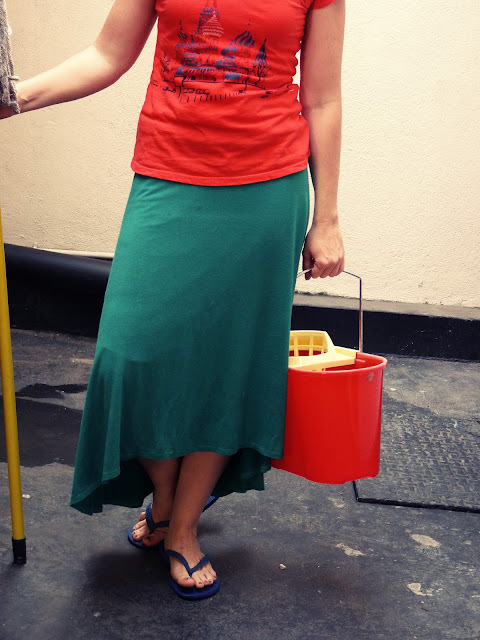 My Lovely Ambition: What to wear when cleaning the walls and trash cans. 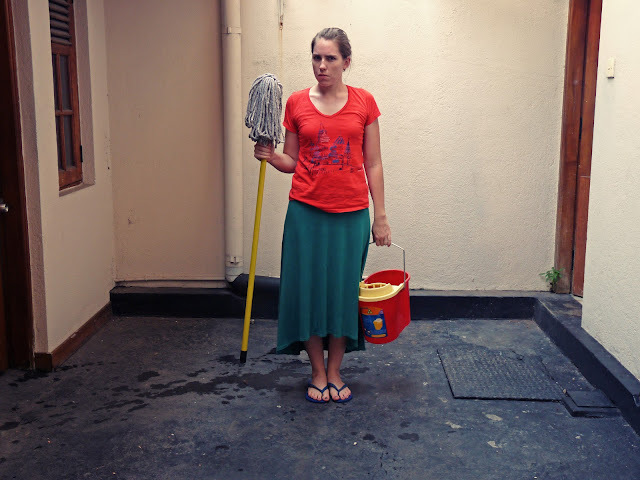 What to wear when cleaning the walls and trash cans. The bucket and mop were added for dramatic effect. I did not mop today. For the sake of this blog post, I am certain of three things. The first, that there is an outfit appropriate for every occasion. The second is there is music appropriate for every occasion. The third is I don't like cleaning very much. But since this blog fits more along the lines of appropriate outfits, that is what I will discuss today. Today I spent the day cleaning. Well, maybe not the entire day, but a big part of the day. Mostly washing walls, cleaning out garbage cans, and laundry. On days like today I want to wear something I don't mind getting dirty, and something that I can sit on the ground comfortably. There you have it, my cleaning walls outfit. *Note to self* It is best to take pictures BEFORE day of cleaning...just saying. Also, you need a pedicure. I chopped off my hair. Blue Pants and an Elephant Necklace.